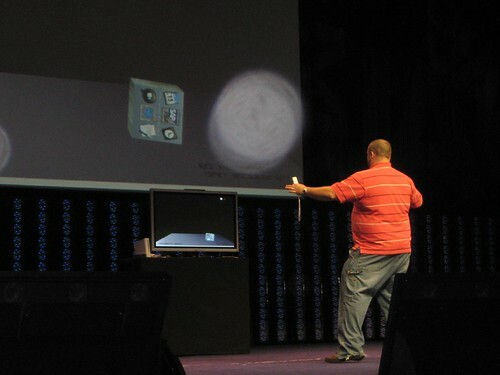 Check out this video – two Wii remotes used to bring minority report style capabilities to a desktop near you. Another triumph by the The Colgate Twins (cheers Thomas for that one) have done it again. Big Ed really gave it some on stage. Sling It Back. Get your hands on. Get Those Wii Hands on.